Shikhar Dhawan has a wonderful year in white ball cricket for India, This year he became the highest run-scorer in a calendar year in T20I. 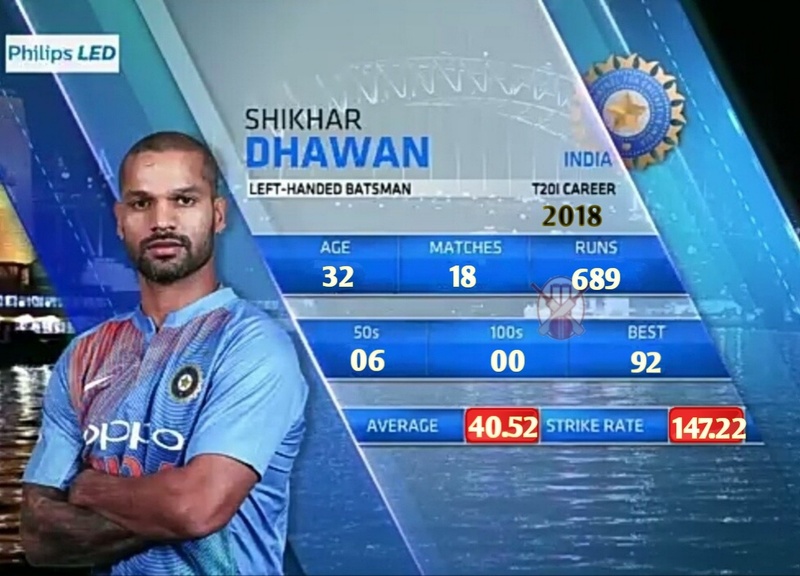 Shikhar Dhawan was named Man of the Series in the 3-match T20 series against Australia, he scored 117 runs in two Innings with the best score 76. 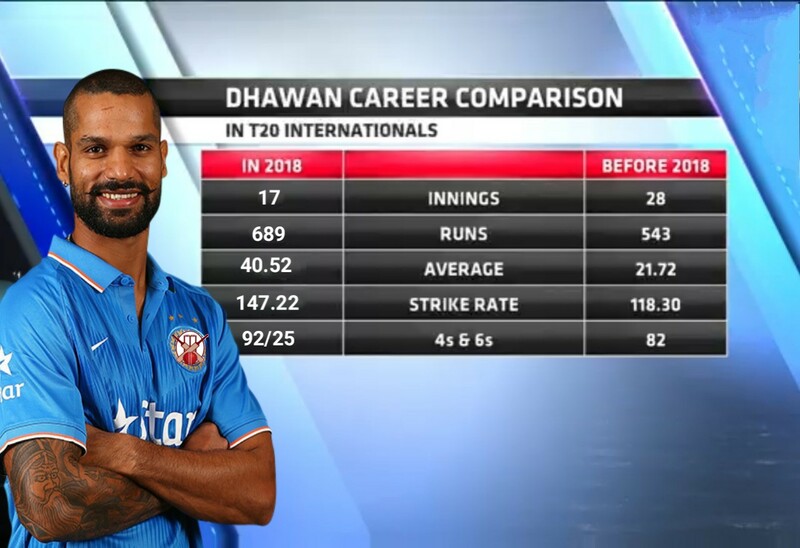 Dhawan's stats show the difference of sky before 2018 and this year, Shikhar Dhawan has greatly influenced his game in the year 2018. Let's see the figures before 2018 and in 2018. 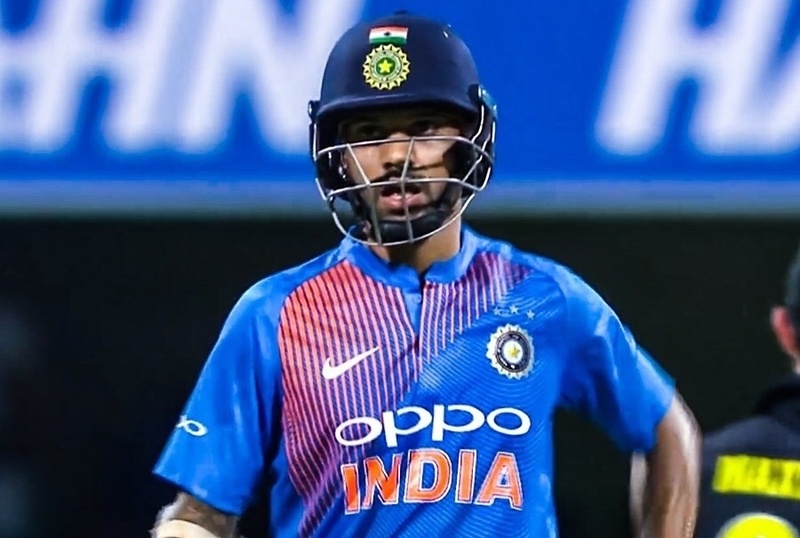 Indian opener Shikhar Dhawan had scored 543 runs at a poor average of 21.72 in 28 T20 matches before 2018. During this period, his strike rate was 118.30. He has scored 3 fifties, 68 fours, and 4 sixes. His best score was 80 runs. In 2018, Shikhar Dhawan has scored 689 runs in 17 innings of 18 matches. During this period Dhawan scored at the rate if 147.22 and with an average of 40.52. Dhawan has scored 6 fifties, 70 fours and 25 sixes this year. His best score is 92 runs. So Friends, Did Team India made the mistake by dropping Shikhar Dhawan form test squad against Australia? Do send us your valuable feedback below.